Who says a great burger needs to have a hunk of medium-rare red meat on it? 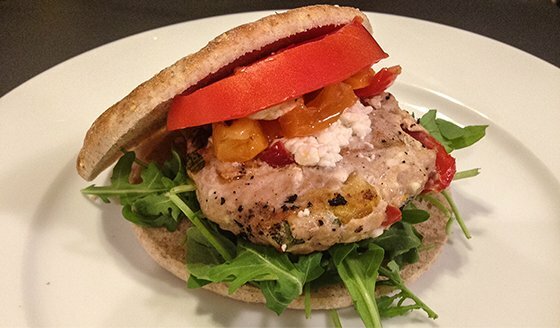 Spread out and try these 4 savory takes on the all-time grill favorite! Everyone loves a savory burger hot off the grill—and I mean everyone. From diehard carnivores to dyed-in-the-wool vegetarians, few among us can resist the appeal of biting into that perfect stack of bun, sauce, a hot patty, and crispy, cold toppings. The combinations among these items are endless, and, as many restaurants have discovered in recent years, the old charbroiled chuck topped with cheddar is only the beginning of the fun. Even if you're the type who wouldn't dream of giving up your beef, you should allow yourself a little dalliance with the new generation of visionary burgers. They pack the same protein wallop as old-school burgers, but with far less saturated fats and some undeniably great flavor. Make room on the barbecue for these four new takes on an old classic, and share your alterna-burger secrets in the comments! Chicken is a great source of lean, high-quality protein. Add in roasted red pepper, feta cheese, and arugula, and you've got a meal that's not only high in protein, potassium, and antioxidants, but also offers a mouthful of savory Mediterranean flavors. Pack in the omega-3 fatty acids with this tangy, flavorful fish dish! 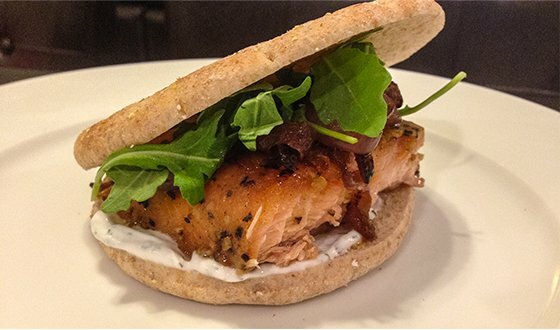 Not only is salmon low in fat and calories, but one 4 oz. serving has 24 grams of protein. Top with sautéed onions and yogurt dill sauce for that perfect hot-cold combination! Indulge in nature's burger! 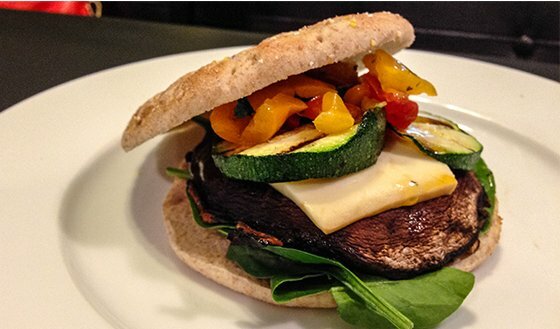 The thick, meaty texture of portobello mushrooms makes it a favorite among meat lovers and vegetarians alike. This shroom also offers an antioxidant blast on par with far more famous vegetables, and at a minimal calorie cost: One cup only has 42 calories. Fire up the fungus! 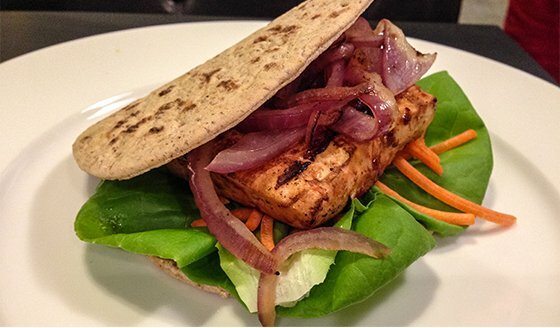 The zesty Asian flair of this burger will make you a tofu believer! Savor the pairing of caramelized onions with spicy chili flakes and Sriracha, all supported by the sweet smokiness of Teriyaki marinade. If you need any further convincing, tofu contains all of the essential amino acids and packs in 6 grams of protein per 3 oz. serving.